Congratulations! You’ve hired a brand new employee. Unfortunately, hiring is not as seamless of a transition as we employers and employees need it to be. On-boarding new employees takes time, both on paper and in person. Plenty of specific actions need to happen within the first few days that require repetitive and meticulous data entry. 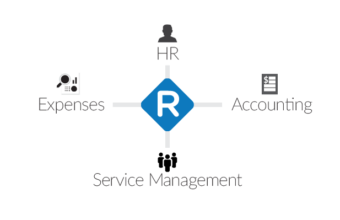 As an HR partner, you will most likely find yourself switching from app to app to enter the same data across different systems, like payroll, accounting, timesheets, and expense management, instead of focusing on welcoming your new colleague to the organization. Now, you can bring human resources into the modern era with Namely, a one-stop, cloud app that manages all aspects of the HR process. You can get real-time report outlining the information and progression of every hired employee. Employees, too, get instant access to their information through Namely’s mobile app. But Namely alone doesn’t fully solve the pain points of the HR experience. Think about the process. Namely can sync data from the recruitment process through the exit interview. But during the tenure of an employee, lots of changes occur in other apps. 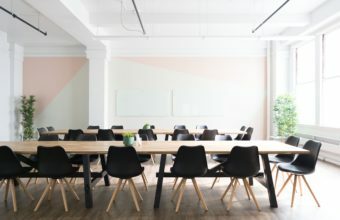 Without an instantaneous sync, many discrepancies can form within the company, such as employees not being paid the right amount or on time, benefit changes not being processed in timely manner, performance reviews being cast aside, utilizing outdated training documents, and disorganization of employees’ sensitive information. These issues at an enterprise level are business nightmares that can lead to a loss of money and a loss of manpower. The integration of Namely with your other business apps may at first seem challenging, but with Workato, it’s in fact simple and secure. Employees spend less time on manual data handling and thus raising employee morale and productivity. Namely comes from the cloud but what’s the first step when you want to begin integration? Workato’s DIY platform lets you select the precise triggers and actions you want Namely to do or follow with your other apps like Replicon for timesheets, Xero for accounting, QuickBooks for finance, or even SurveyMonkey for employee engagement surveys. Traditional integration methods fall short because they don’t allow for a two-way, real-time data exchange between apps. Instead, it’s a one-way push where an update may initially stick but then get overwritten later on. These point-to-point integrations are not flexible to two-way real-time sync handcuffing your ability to use your own apps. Workato enables integration to be powerful and flexible enough to suit your company’s needs securely. The DIY platform is the only SOC 2 certified integration platform that maintains confidentiality and security of HR and personnel data. This way, an HR employee’s routine access to data will not suffer or differ. Say goodbye to manually handling company data, employee records, and critical data discrepancies. Workato already offers a library of ready-made Namely recipes that will instantly connect all your business applications. Moreover, Workato provides a do-it-yourself space to create your own app integration recipes. With this recipe, a new employee created in Namely can automatically be added to Replicon. All departments (HR, finance, accounting) will be on the same page regarding hours logged per employee and any corresponding payments. Make sure your all of employees receive surveys from on-boarding throughout their tenure. With this recipe, you’ll never have to enter a new contact into SurveyMonkey since that app will sync automatically to Namely when a record is created. Employees won’t miss a survey and you won’t miss critical employee insights. New employees can get straight to work with the integration of Namely and Salesforce. Once a new employee is created in Namely, that information is quickly copied into Salesforce, ensuring your recruiting data is updated and accurate. 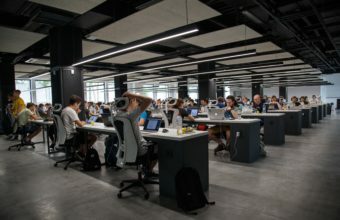 With numerous applications in the workforce that rely on employee information, utilizing Namely as a data source will help to welcome and integrate your employees in a contemporary, smooth and effortless way. See how Workato can help you get the most out of Namely.